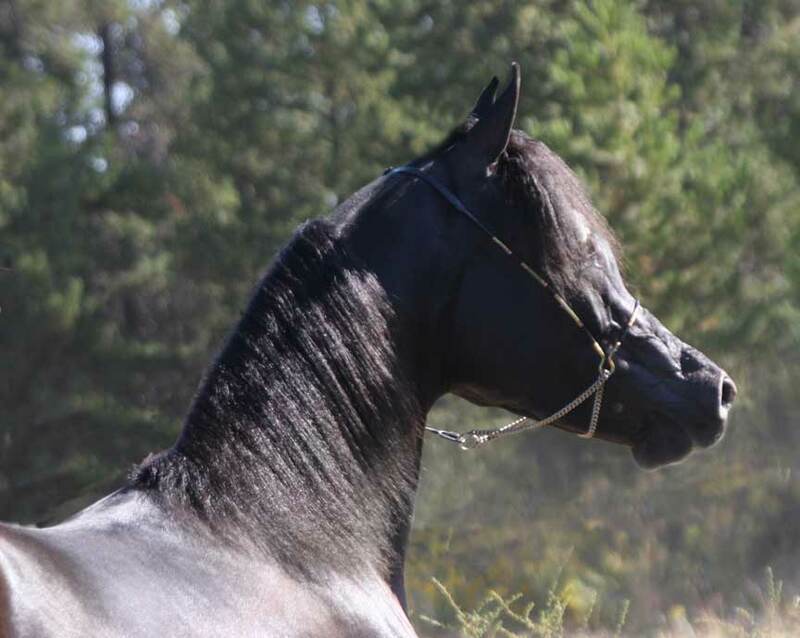 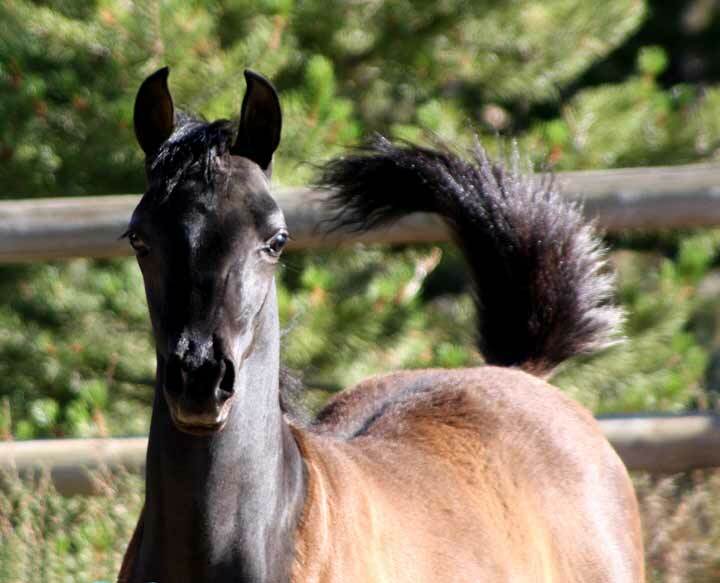 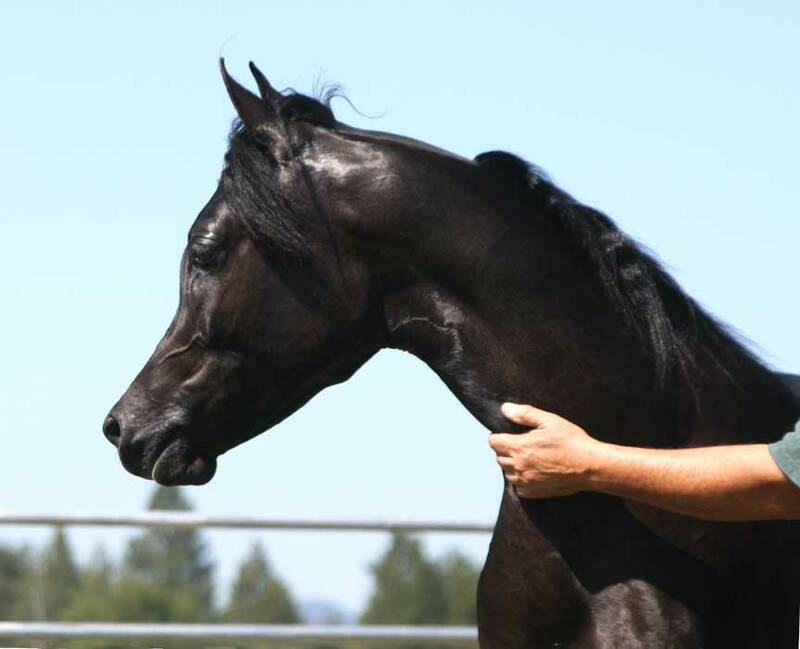 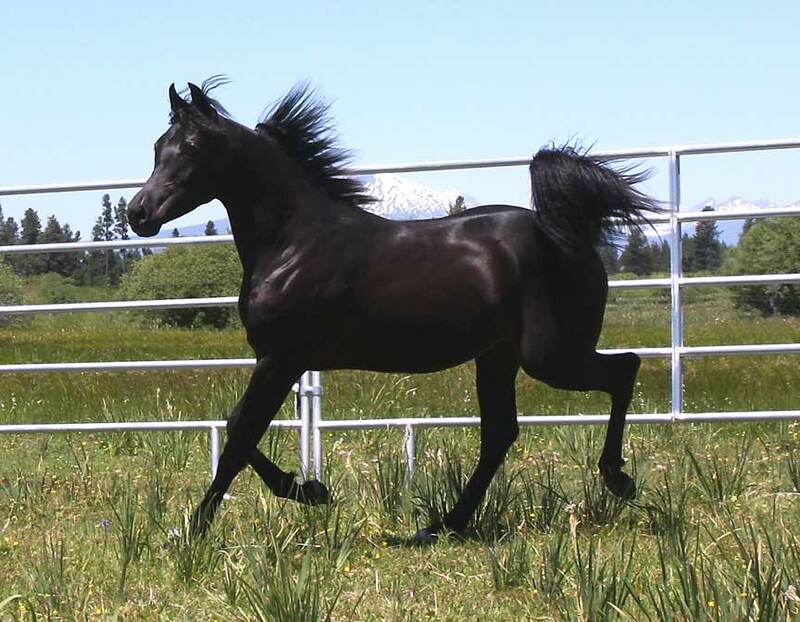 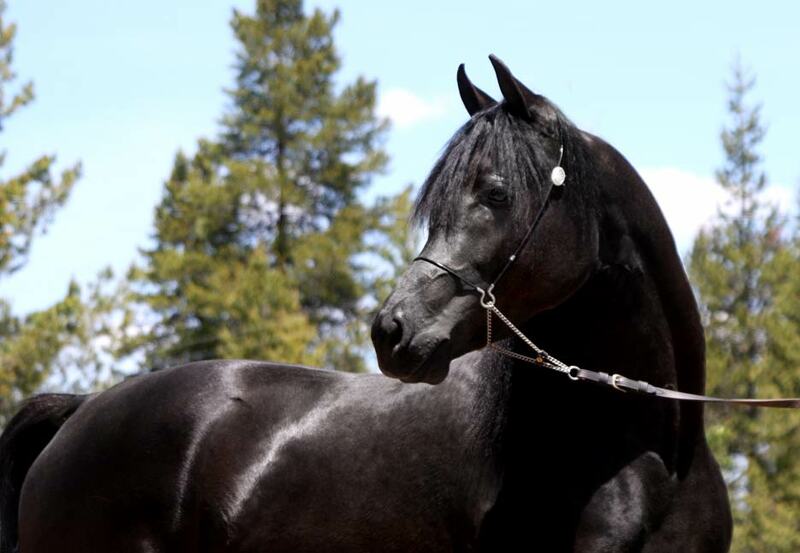 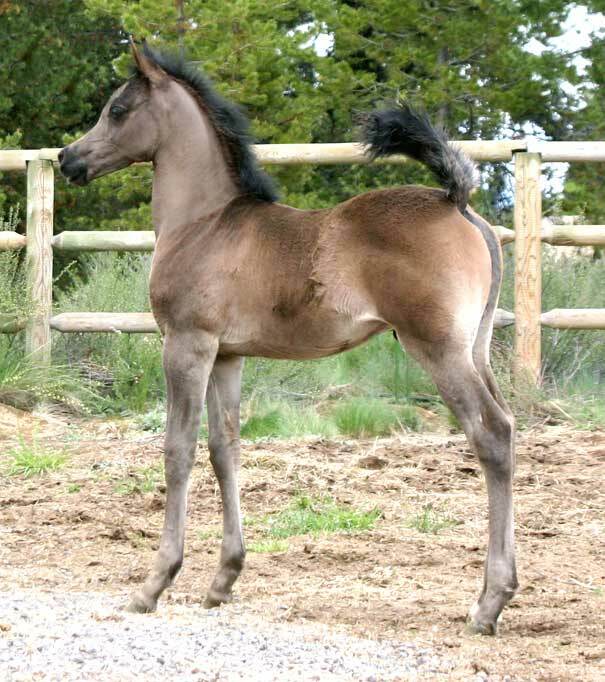 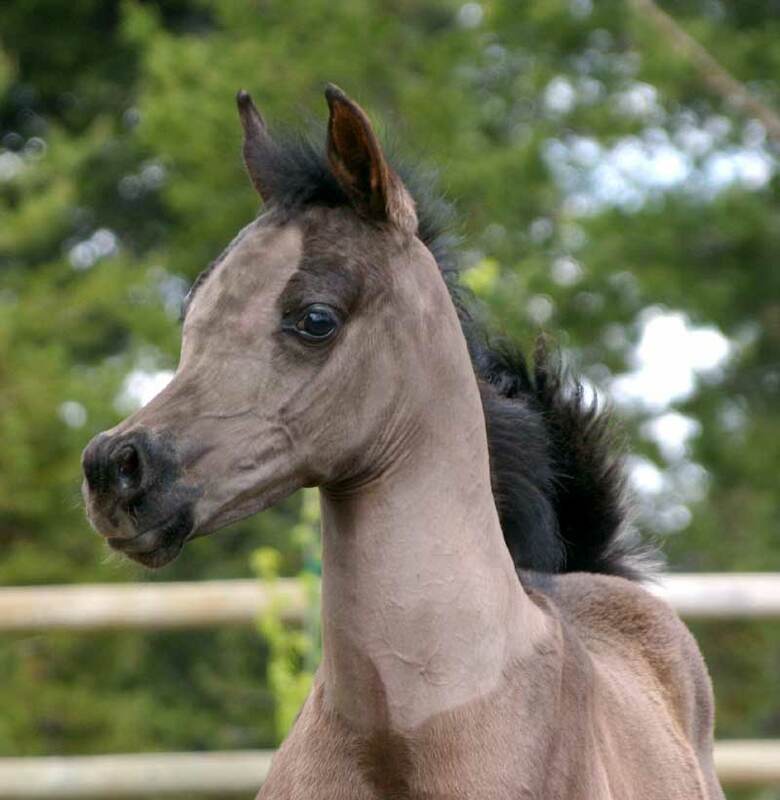 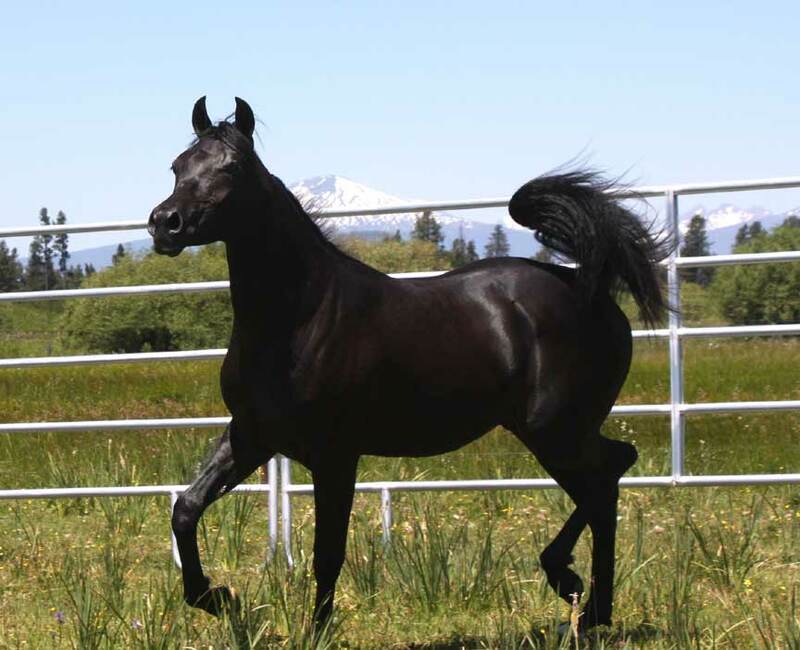 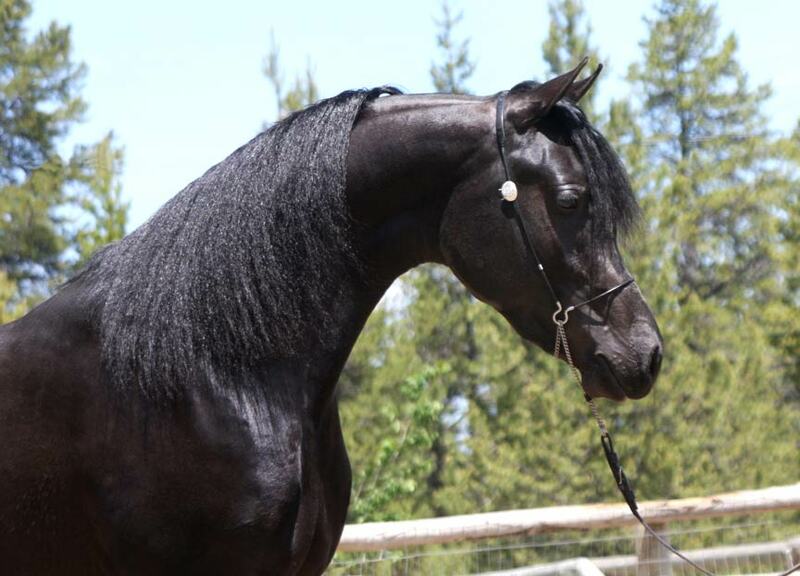 This outstanding homozygous black colt is out of a Shania, a black Jafar daughter. 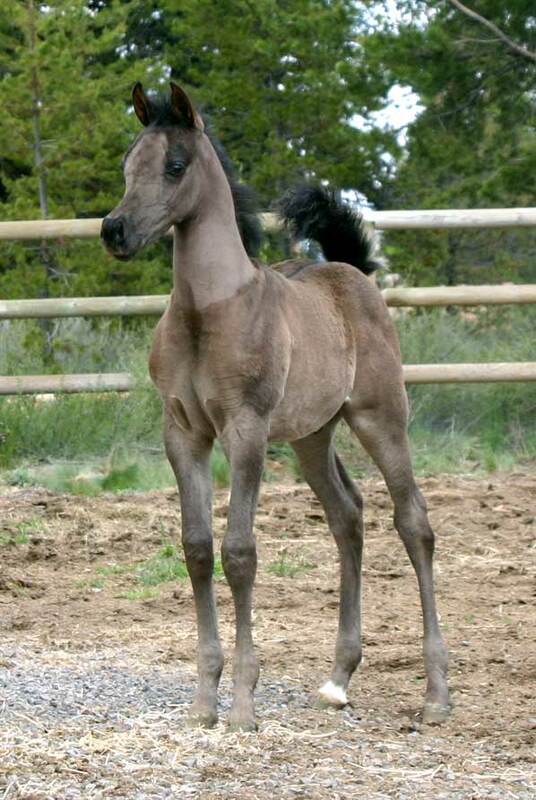 full sibling to Jasmine, Tristin and Tiberius. 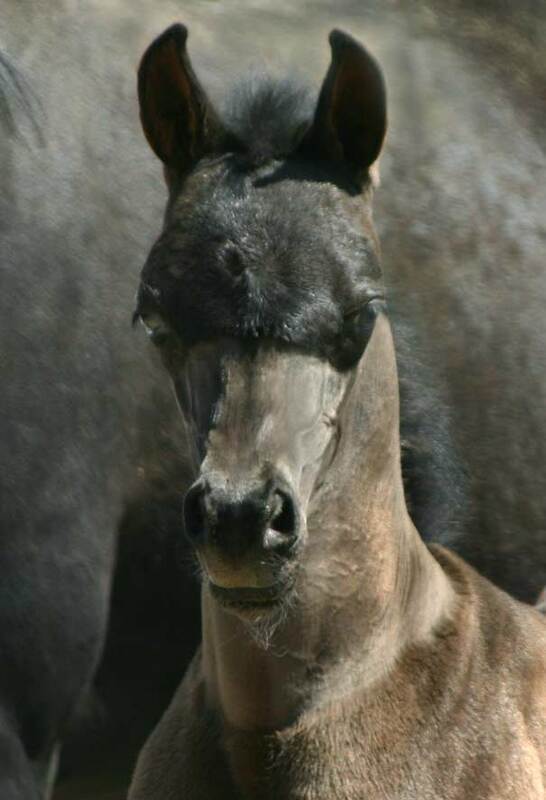 This colt 's head alone will capitivate anyone. 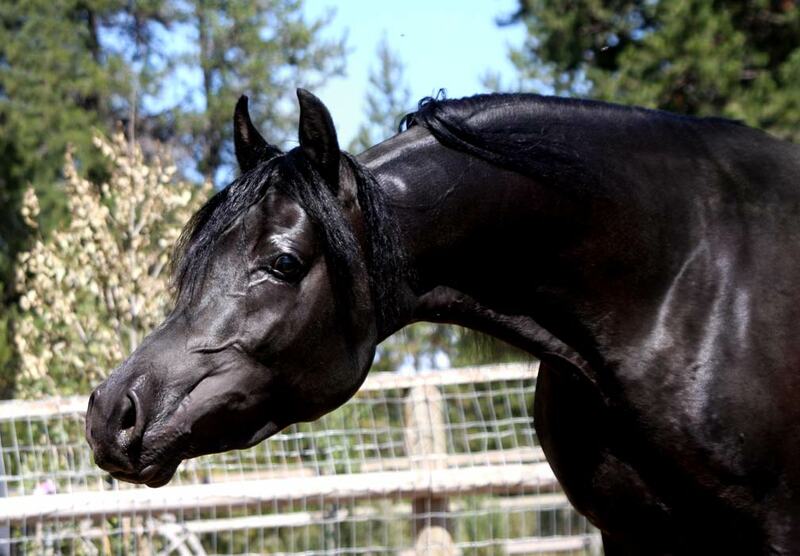 Triton will mature well over 15 hands, like his father and siblings. 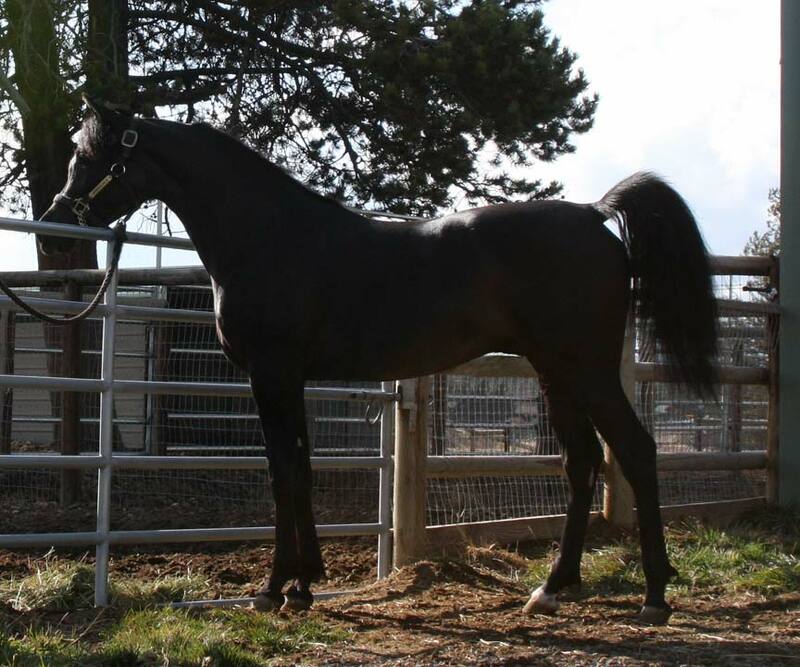 Triton BP has been exported to Europe. 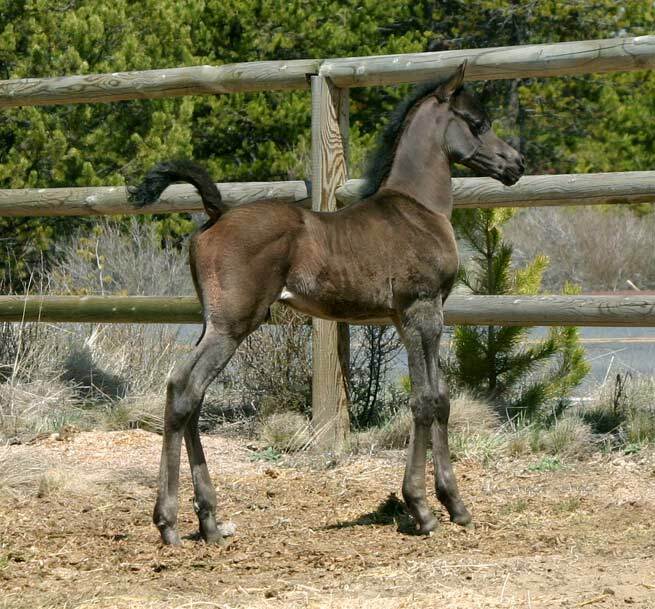 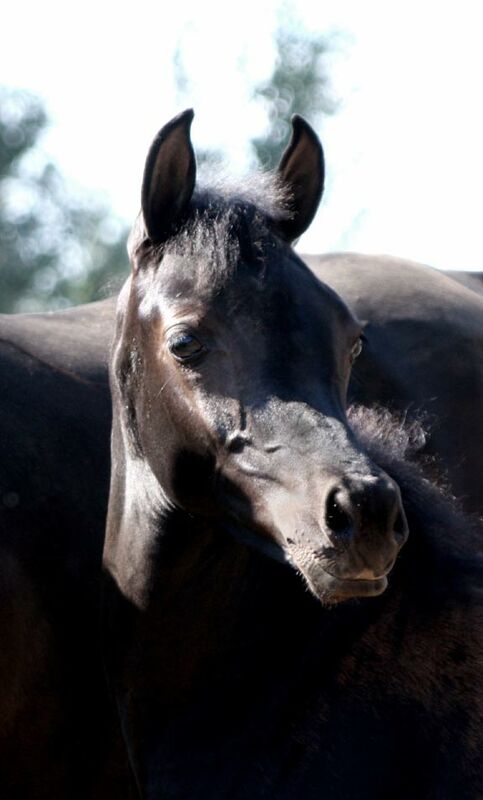 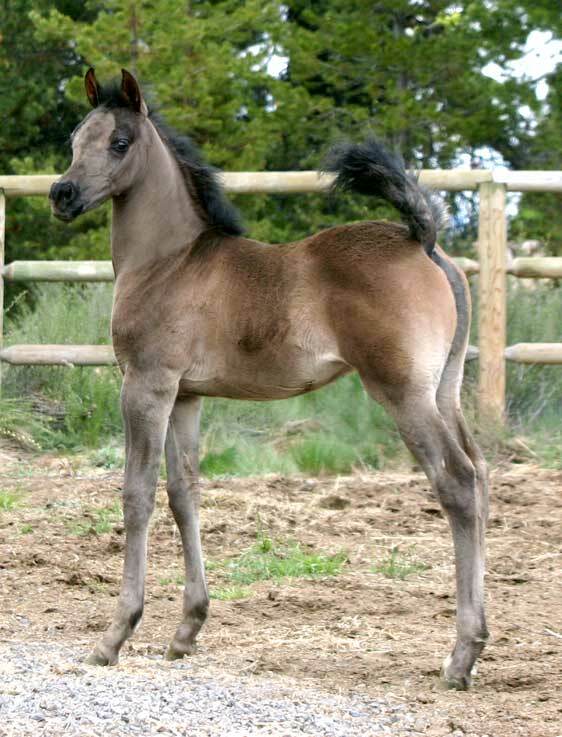 See photos of his foals in the US here. 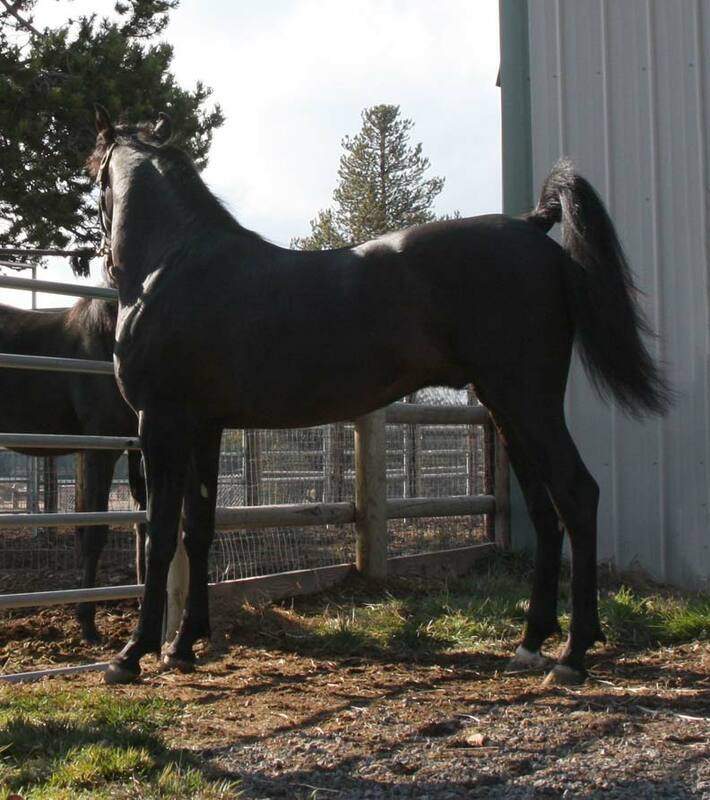 Photos taken 3-1-10 He has matured to be magnificent! 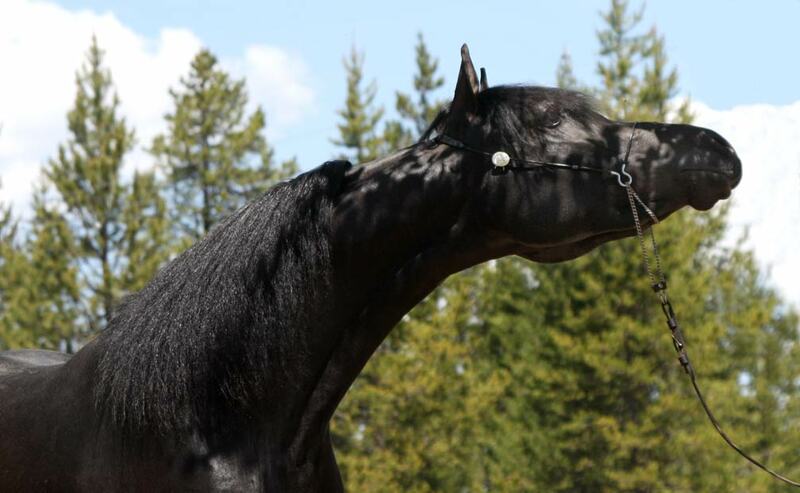 beautiful shape and a clean, thin throatlatch. 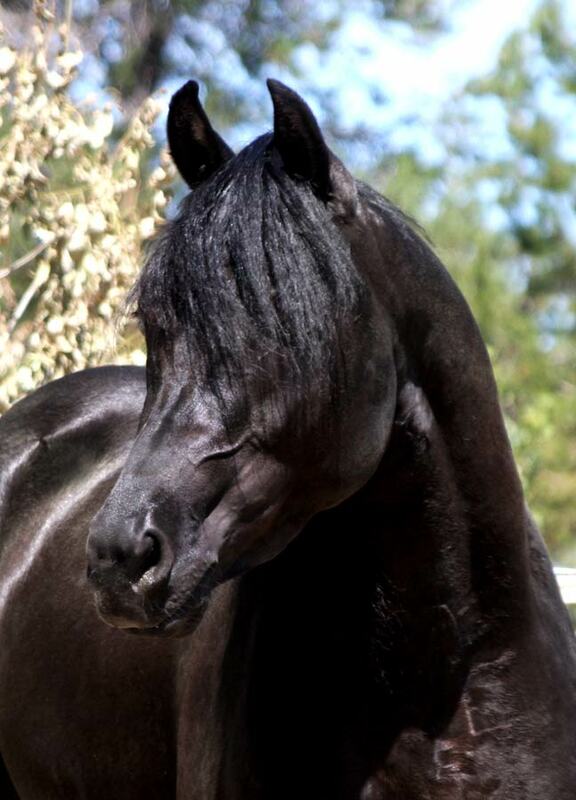 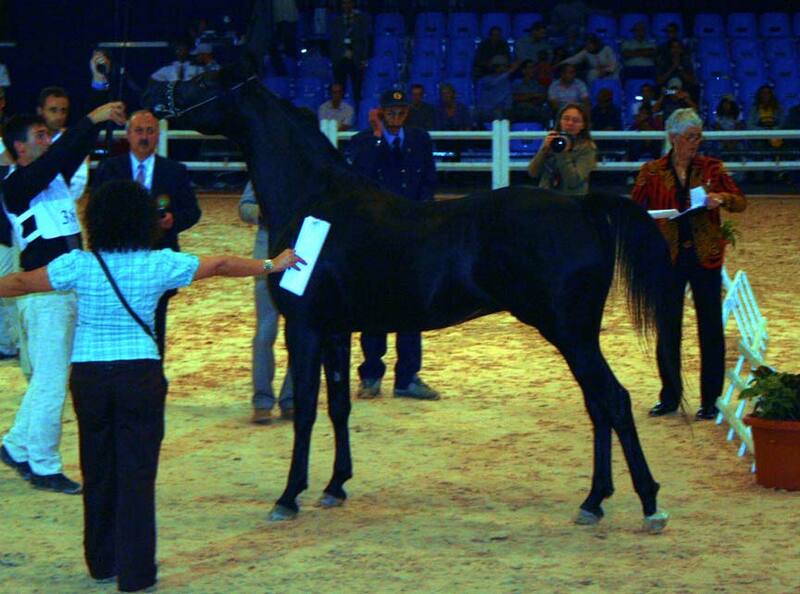 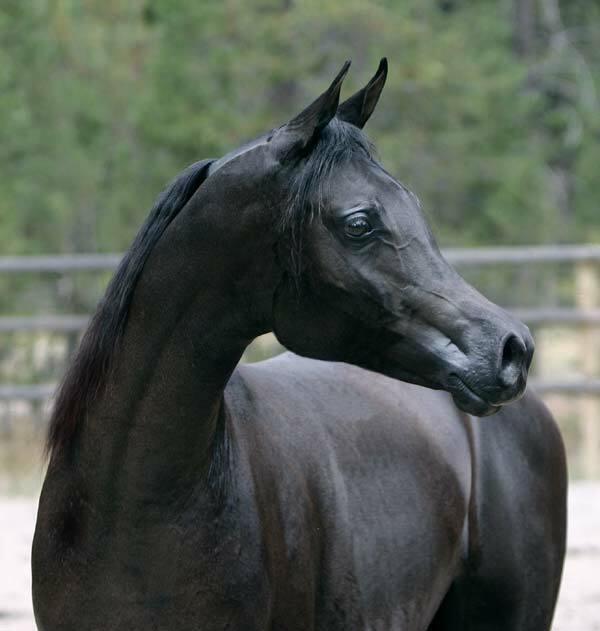 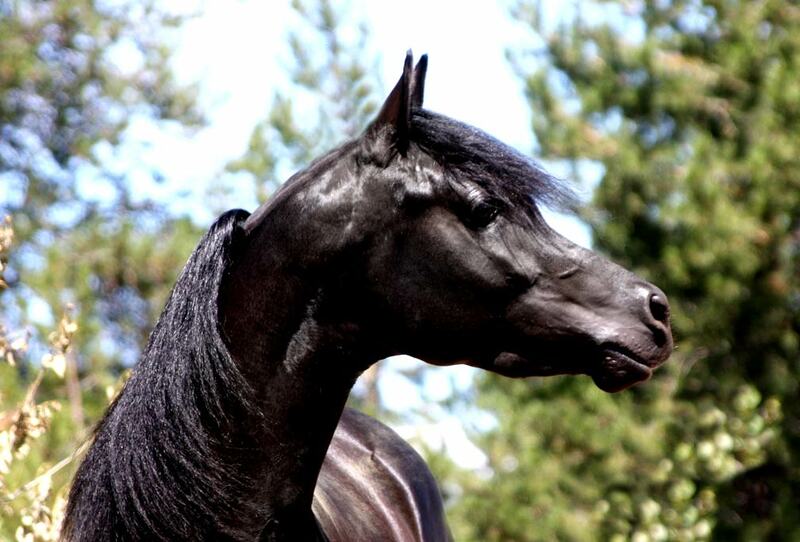 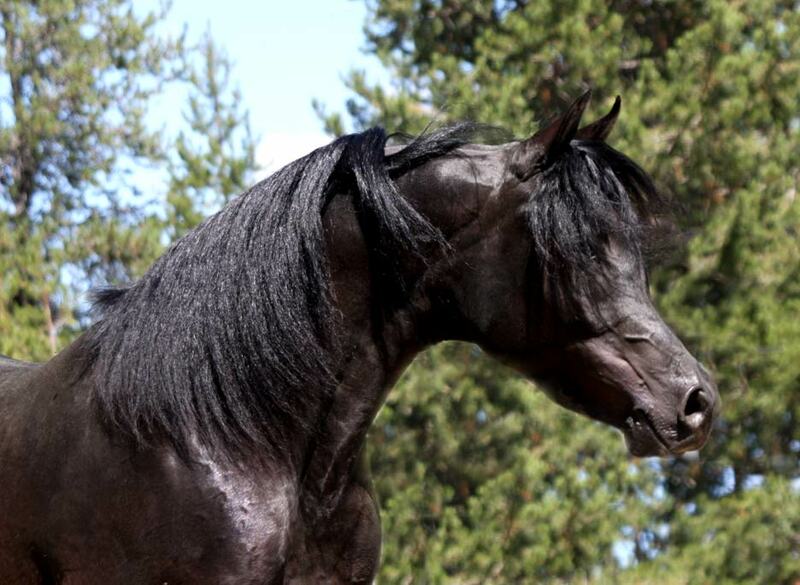 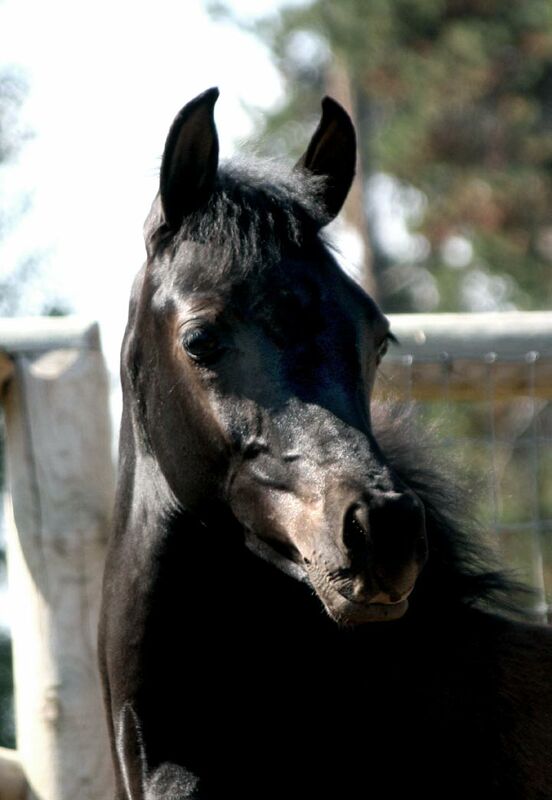 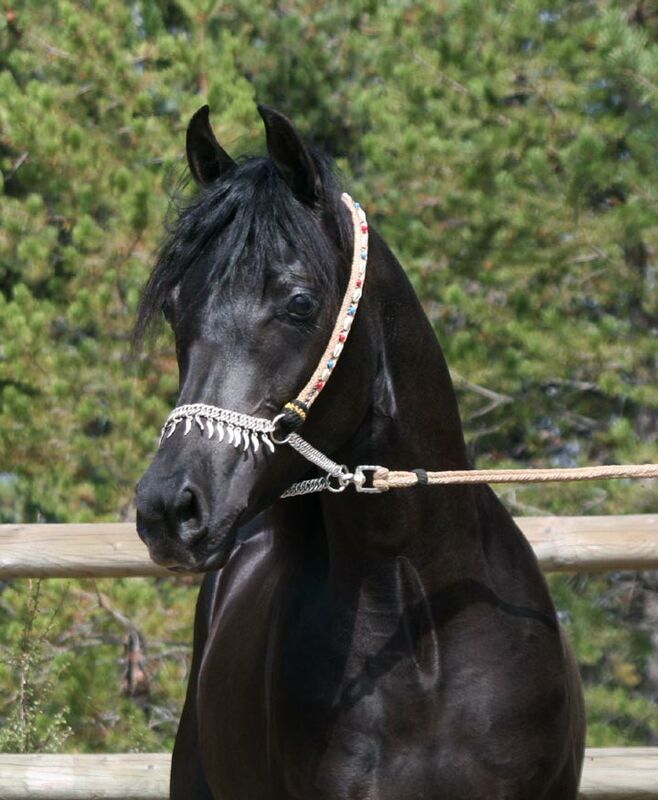 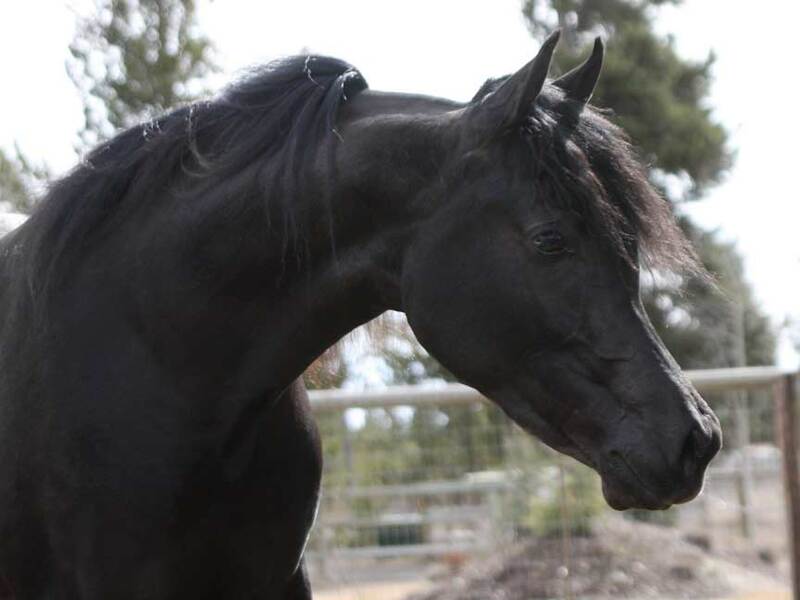 was just named Reserve Champion Junior Colt in Morocco in October 2009. 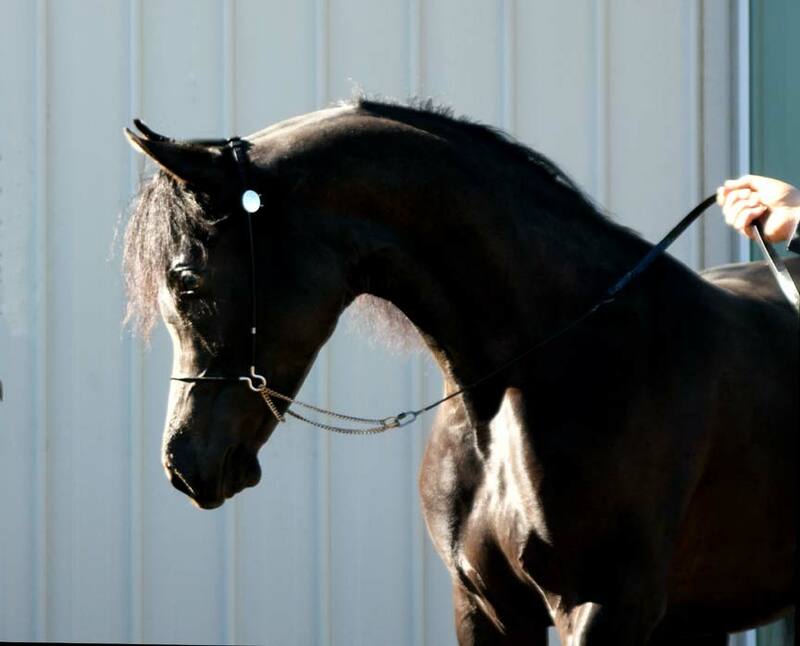 In the above photos, Tristin is 3 years old. 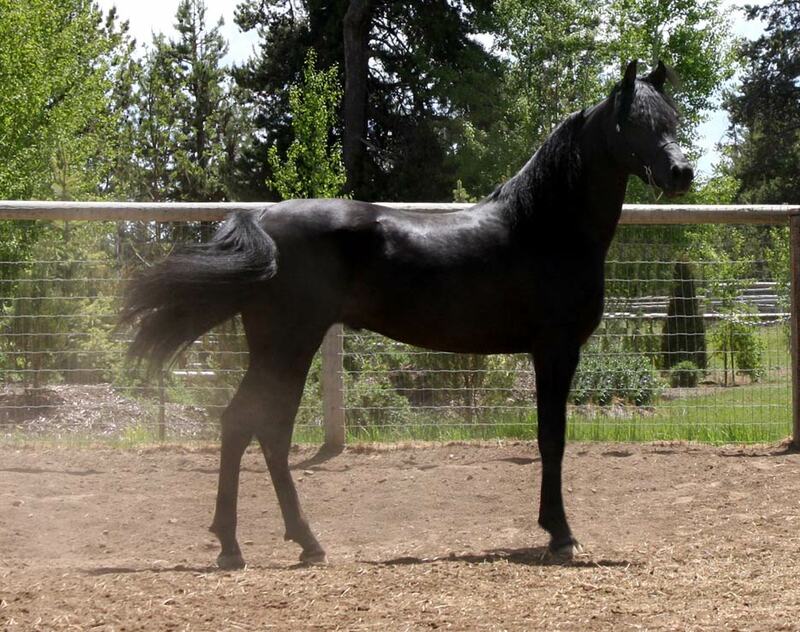 Below is Tristin at 16 months old at Birch Park in Oregon before leaving for Sweden.